As a homeowner, one of your biggest priorities is making sure that your home is able to remain comfortable for you and your family all throughout the year, and your home's air conditioning and heating systems are an important part of that equation. Making sure that your heating and cooling systems are getting the kind of quality care, when they need it is one of the most important things you can do for your home, and is a major factor in being able to keep your home at the level of comfort you and your family desire. Here at Mobley Heating & Air, our team of Snellville air conditioning and heating experts have made it our mission to ensure every single one of our local customers has access to the high quality services they need, when they need them, to keep their home at the perfect level of comfort all year long. 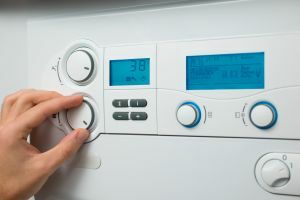 We offer a wide variety of air conditioning and heating services, ranging from minor repairs and tune ups, all the way to complete system replacement and round-the-clock emergency service. No matter what your heating and cooling service needs might be, you can always count on the heating contractors here at Mobley Heating & Air. 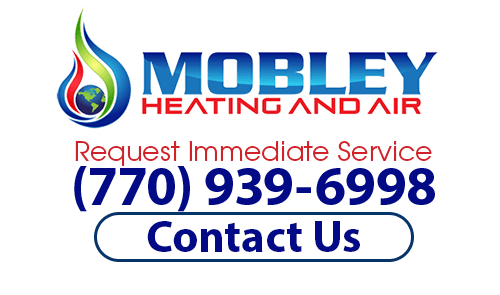 Here at Mobley Heating & Air, all of our Snellville air conditioning and heating experts are fully licensed and extensively trained and experienced in the field. This training and experience, coupled with the long history we have of delivering exceptional quality results, is a large part of the reason that so many local homeowners have come to trust us with the comfort and safety of their homes. When our team of professionals arrive on scene for your job, you can have complete peace of mind knowing that the issue is going to be completely resolved quickly and efficiently the first time around, letting you and your family restore your home to the desired level of comfort. If you have any questions about our full line of high quality air conditioning and heating services, or if you would like to schedule an appointment for consultation with one of our specialists, give us a call today. Our team of experts are always standing by and would be more than happy to assist you in any way we can. When the temperatures start to plummet in the winter months, you and your family don't want there to be any uncertainty about whether or not your heating system is going to be up to the task of keeping your home warm and comfortable as things continue to get colder. Here at Mobley Heating & Air, our team of Snellville heating professionals can help you with any and all of your heating service needs, whether your system has recently suffered a severe breakdown, or you are just in need of a bit of routine heating maintenance to keep your system running at its most efficient. If you are looking for Air Conditioning or Heating services in Snellville, then please call (770) 939-6998 or complete our online request form.